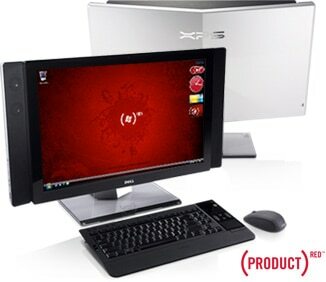 Experience the all in one with the stunning XPSTM One 24 all-in-one computer. 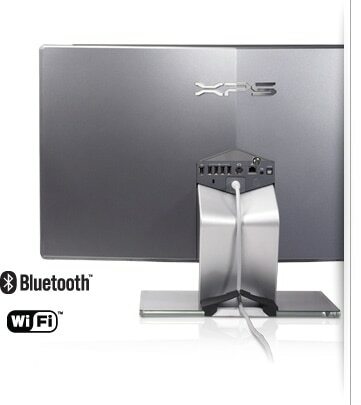 XPS One 24 is all-in-one desktop computer that fits the entire desktop, monitor and PC into a unique, stunning and space-saving design. The result is a simple one-cable setup with substantially fewer cords and wires. 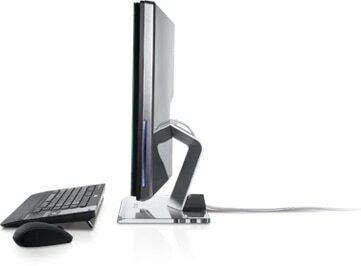 XPS One system includes a custom wireless keyboard and mouse, integrated WiFi networking and speakers, and fast Intel® processors. The XPS One 24 also includes Intel® CoreTM 2 Quad processors, a larger 24" 1080p LCD display, more memory and HDD storage and upgraded JBL® speakers with internal subwoofer. Every day we use our computers to connect and collaborate with others. And now you can use them to help change a life. DellTM and Windows® are proud to partner with (PRODUCT) REDTM . When you purchase Dell and Windows® (PRODUCT) REDTM signature products, a portion of sales will go to the Global Fund to help eliminate AIDS in Africa. It’s that easy, and it’s no extra cost to you. 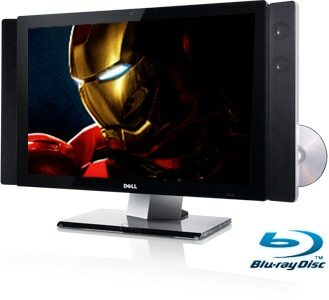 The Dell XPS One 24 in Pure White is also available as (PRODUCT) REDTM option. Buy Dell. Join (RED). Save lives. The power of two — Intel® CoreTM 2 Quad on the XPS One 24 is optimized for processor-intensive multimedia applications, driving your system and digital entertainment experience further and faster than ever before. 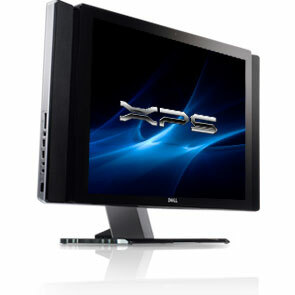 Superior service is standard with XPS products. Dell XPS technicians pass rigorous XPS product-specific training, and support calls are normally answered in less than 2 minutes. You can also count on some of the latest virus and spyware protection, 1 year of Dell DataSafeTM online Backup, and 24x7 support. In short, the ownership experience is just like the machine itself — top of the line. Systems with 4GB or Greater Memory Capability ~~ Up to 1GB may not be available with 32-bit operating systems due to system resource requirements.